VIENNA, October 4./TASS/. The Ukrainian armed forces are moving their air defense systems to the contact line in Donbass, Russia’s OSCE Ambassador Alexander Lukashevich told a session of the European security agency’s Permanent Council on Thursday. 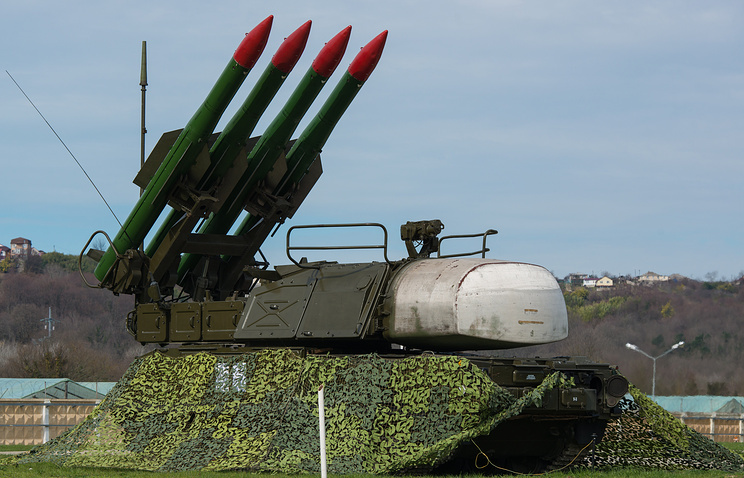 "Kiev is pulling air defense systems to the contact line. Reports of the [OSCE] Special Monitoring Mission of September 28 and October 1 say two Buk air defense missile systems were spotted at a railway station in Mariupol and several more - on the railway junction in Rubezhnoye. What are the aims they are planning to bring down?" he asked.